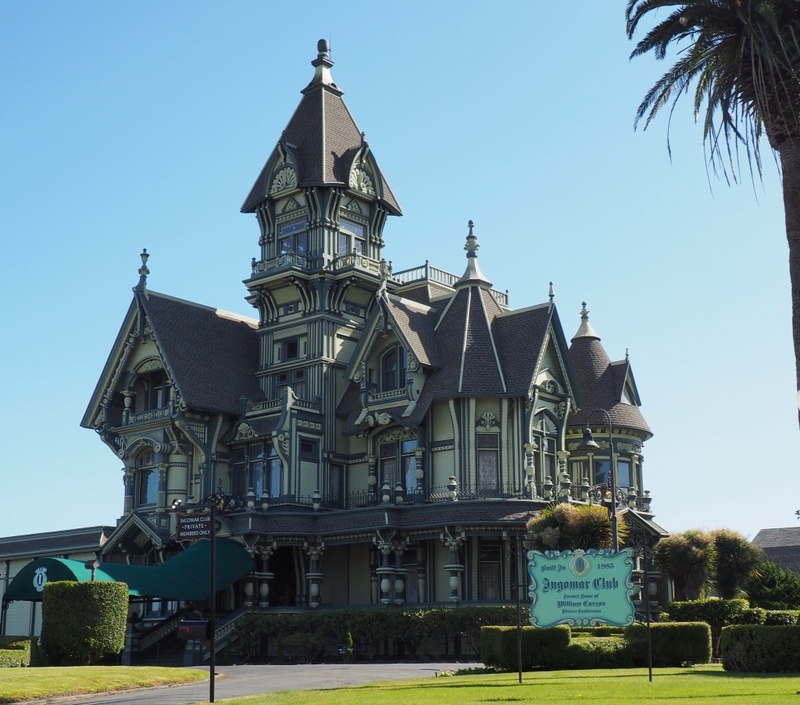 The Carson Mansion, built in 1884-1886, continues to stand watch over Old Town Eureka. Once owned by lumber baron William Carson, it has been a private club since 1950. We spent four years in Garberville, California soon after we were married. The population was about 1300 back then and Eureka was “the big city” we drove to for much of our shopping. 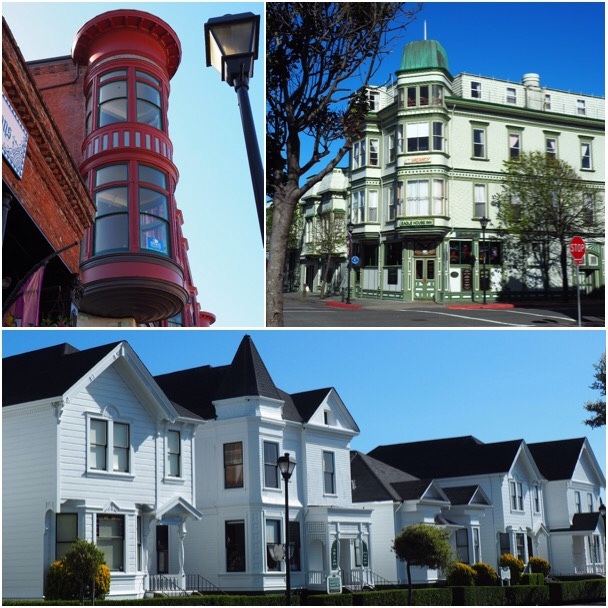 It's always fun for us to revisit Old Town Eureka to see what has changed (and what hasn't) since we first wandered through the historic district 30 years ago. The Milton Carson home was a wedding gift from lumber baron William Carson to his son. 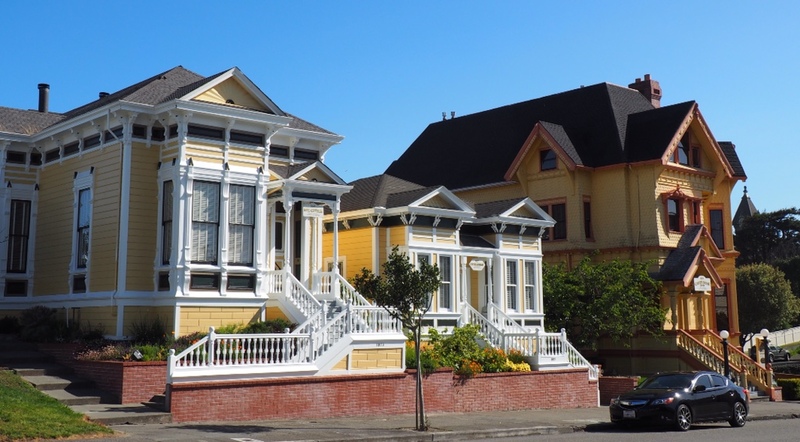 Pride of ownership is spreading outward from the historic center. 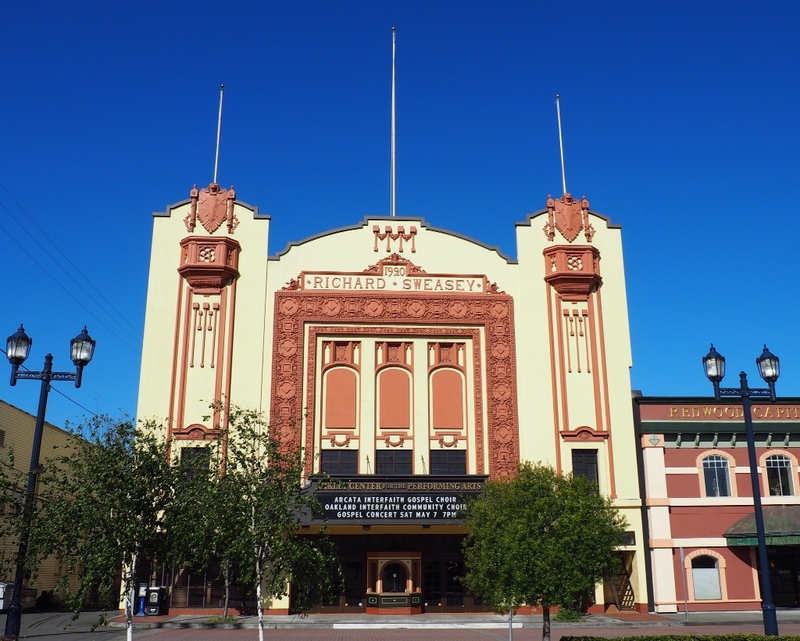 The Arkley Center for the Performing Arts provides an array of cultural events. For many of these buildings renovations continue both inside and out. 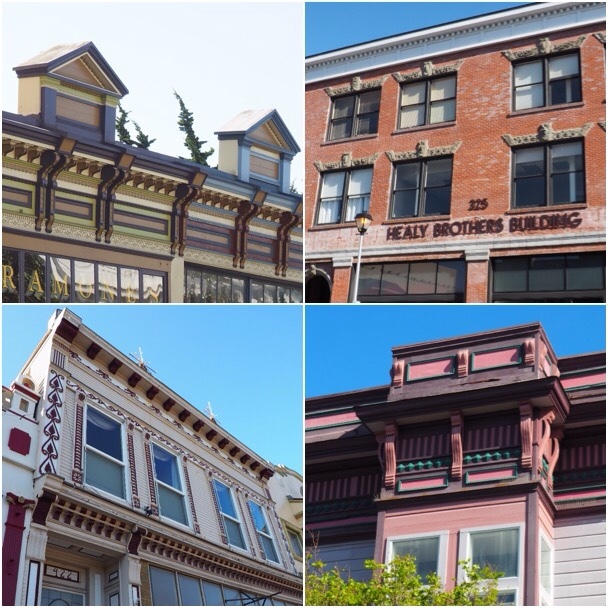 Architectural detail and Victorian era color schemes bring these old buildings to life. 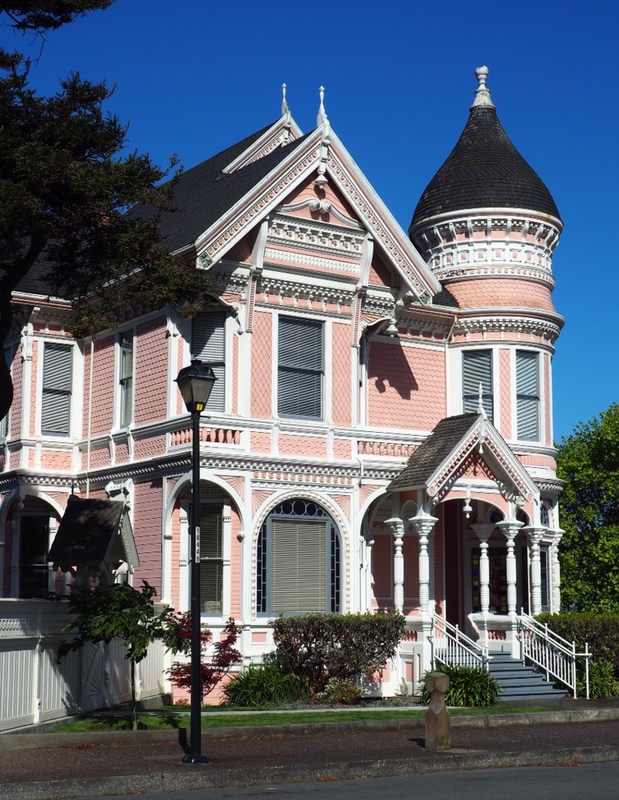 Eureka is located on the Northern California coast in Humboldt county. U.S. Highway 101 will guide you right downtown, but not before first leading you through beautiful coastal redwood forests that blanket the area. There is plenty of lodging available in town…or the more adventurous can pitch a tent amongst the redwoods in nearby campgrounds or state parks. Debbie and I visited the Carson House (from a distance) on one first vacation as a married couple. It was the end of a long and memorable trip up Highway 1 from Ventura to the California boarder. ….I wonder how close we came to crossing your path during those days? The Carson House is amazing. Would love to at least peek in a window. We lived in Garberville from 1986 – 1990. A life-changing experience for us. We arrived without kids and left with three!